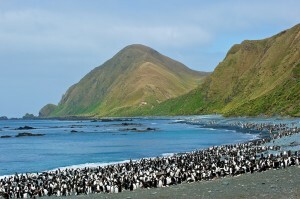 Situated in the Southern Ocean midway between New Zealand and Antartica, but under the political control of Australia, Macquarie Island is home to the endemic Royal Penguin, and numerous other sea birds including King, Gentoo & Rockhopper Penguins. The ecology of the island has been badly affected by; the ‘harvesting’ of Seals & Penguins mostly for fuel oil, and the introduction of rabbits in Victorian times. When I was there in December 2010 preparations were being made for the eradication of rabbits by baiting from helicopter, to be followed by hunting teams. Reports from 2012 suggest that this has been successful. 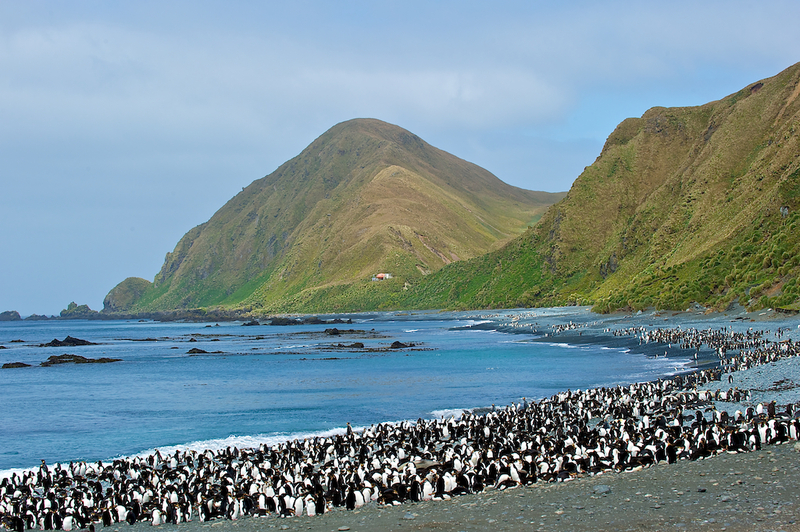 In Sandy Bay on the east coast King Penguins & Royal Penguins accumulate before going on foraging trips at sea.